If you were following Middle East events closely in 2011, you may be suffering from a little bit of déjà vu in early 2019. Back then, I was glued to my computer screen watching the live stream of Cairo’s Tahrir Square, where mass protests eventually led to the downfall of Egyptian strongman Hosni Mubarak. For the previous two decades, oureditor in chief Gerald Flurry had forecast a “radical change in Egyptian politics.” Specifically, he said that radical Islam likely would take over Egypt, likely led by the Muslim Brotherhood. He said that Egypt would then align with Iran, the biblically prophesied “king of the south” (Daniel 11:40). For this prophecy to take place, it meant that Egyptian President Hosni Mubarak, who was aligned with the United States, had to go. Viewing those events from my office in Oklahoma, I was watching biblical prophecy come alive. The mass protests continued—and grew—and toppled the Mubarak regime. Then the Islamist Muslim Brotherhood converted its success in Tahrir Square to victory at the ballot box. Its leader, Mohamed Morsi, came to power a year later, and with him the emerging rule of political Islam in Egypt. When campaigning for the presidency, Morsi stated, “The Koran is our constitution, the prophet is our leader, jihad is our path, and death in the name of Allah is our goal.” Egypt’s new trajectory was clear. Immediately, the Iranian-Egyptian relationship began warming. It had been frozen for decades because Iran didn’t agree with Egypt’s peace treaty with Israel, and Egypt rejected Iran’s descent into clerical rule. For the first time since the 1979 Islamic Revolution, foreign offices were opened in Tehran and Cairo for each other’s capitals. Commercial flights resumed between the two nations. And photographs of Morsi and Iranian President Mahmoud Ahmadinejad embracing showed the world the establishment of an alliance. This alliance would transform the king of the south into the dominant power of the region. Bible prophecy indicated that Iran’s control of Egypt would act as the gateway to Iran’s dominance of North Africa, and it was beginning to happen right before our eyes. However, in 2014, just one year later, the Muslim Brotherhood leader was gone, as was the Iranian-Egyptian alliance. Morsi’s push toward religious rule rattled the military, and he was promptly removed in a coup. After one year in office, Morsi was dethroned by Gen. Abdel Fatah al-Sisi, whose power and distrust of the Muslim Brotherhood is similar to that by former leader Mubarak. While I was a little saddened that there was a delay in the fulfillment of the prophecy, the events of 2011 still proved that this counterintuitive Iran-Egypt alliance was possible, something many observers could never imagine. It was just for a time in the future. Events of early 2019 show that another ‘radical shift” in Egyptian politics is coming. As Trumpet writer Richard Palmer wrote last week, the Middle East is experiencing its greatest convulsions since the Arab Spring of 2011. As the region is potentially witnessing a second wave of uprisings—in Algeria and Sudan—movements of political Islam may make a comeback and contribute to new governing structures. Once again, Libya’s future is completely uncertain as an eastern warlord marches on Tripoli and stirs up the wrath of Islamists. In Syria, hard-biting United States sanctions might be making dictator Bashar Assad question whether he should continue relying on Iranian economic support. Just across Egypt’s southern border, the 30-year-rule of Sudanese President Omar al-Bashir is over, and yet protesters are still on the streets calling for a complete revolution. Algeria is also coming to grips with mass protests following the removal of its resident strongman. But Egypt, which was arguably the center of the Arab Spring, is now relatively silent. Since 2014, Sisi has ruled Egypt with a strong hand, keeping the Islamists under control. Given his clampdown on freedom of the press, it is hard to tell, but so far, there appears to be no substantial movement by the Egyptian people toward ousting the president. This topic [Iran’s relationship with the Muslim Brotherhood] is important because the Middle East and North Africa region today is defined politically by volatile alliances arising in response to specific situations. Despite how vulnerable and relatively unpopular the Muslim Brotherhood has become, it remains an integral part of the region’s social fabric, with an extensive network of contacts …. As the region is potentially witnessing a second wave of uprisings—in Algeria and Sudan—movements of political Islam may make a comeback and contribute to new governing structures. Iran would be interested in approaching such groups and cultivating good relations with them. The Muslim Brotherhood seems weak with Sisi in power. But Egyptian politics can change extremely fast, as we witnessed in 2011. According to Badawi, Iran is already reaching out to several factions of the Muslim Brotherhood in Egypt. Iran intends to “tap into the movement’s extensive network of regional contacts,” he said. According to Badawi, Iran will try to use its outreach with the Muslim Brotherhood in Egypt to influence other destabilized nations in North Africa. Unsurprisingly, this is exactly what the Bible says will happen. Based on the prophecies in Daniel 11:40-44, Mr. Flurry has said that Egypt’s alliance with Iran will lead to Iranian control over the destabilized areas of North Africa. Right now, we see major popular movements across North Africa bringing down governments, like in 2011. But instead of just focusing on the turmoil in Algeria, Libya and Sudan, we actually need to watch Egypt. As in 2011, it might be the civil unrest in neighboring countries that motivates Egyptians to rise up against their strong leader. 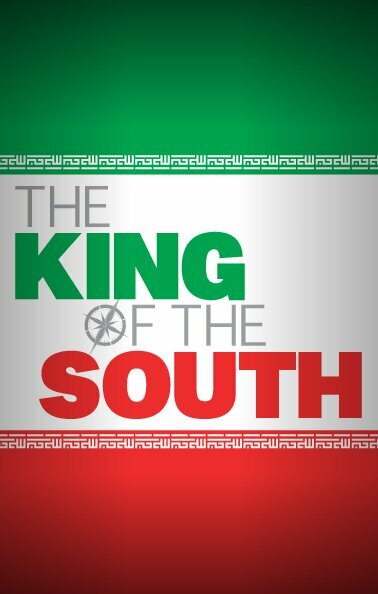 If you would like to understand more of Iran’s prophesied rise to power in the Middle East, including its future alliance with Egypt, please request Gerald Flurry’s free booklet The King of the South. Understanding these prophecies is not enough. God doesn’t give prophetic insight in order to titillate our curiosities or just for the sake of knowledge. In fact, there is a danger to understanding these prophecies and not acting on them. These prophecies reveal the power of God. They show us, without a doubt, that the Bible is His Word. They also remind us that although this is not His world, God does rule in the kingdom of men ( Daniel 4:17). Finally, these prophecies help you prove that the work of Mr. Flurry and the Watch Jerusalem is more than just a work of men. You can prove all of this by reading The King of the South.